As the end of our trip is quickly approaching, I can’t help but think back on all of the amazing memories that we’ve made together as a group thus far, as well as the memories we’ve made with the inspirational and often quite humorous people we’ve met. 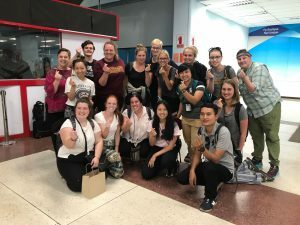 From KK, the Buddhist monk, to the Mexican-Thai chef, every person we’ve interacted with along the way has had an impact on our development in some way or another. 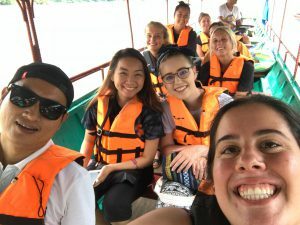 What stands out to me when I think back on our experiences isn’t the food or the views, it’s always the individuals that we were able to form personal and intimate connections with during our activities here in Thailand. 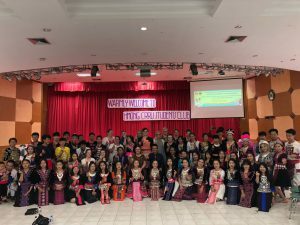 It didn’t matter whether the people we interacted with were two years old at the Hmong school or 75 years old leading us up a mountain, each of them had something to teach us and something valuable to take away from the interaction. Even just meeting people for a couple hours a day, I was able to take something away from every experience. Without even realizing it, I’ve grown and changed so much in the span of three weeks that it’s hard to even imagine my life before meeting these people. KK taught us the value of balance and the need to take care of your mind in order to lead a truly happy and healthy lifestyle. The elders at the Karen village taught us that lessons can be taught without the use of words as well as the value of patience. 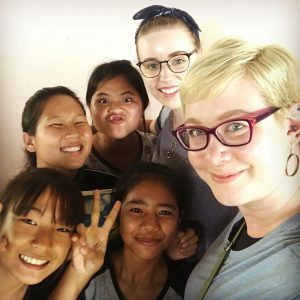 The children at the schools taught us how to have fun and deeply connect with people through craft and music despite difficult language barriers. Even our guides, our beloved Beer, Nett, and Eve, taught us the value of relationships and how important it is to stay true to your unique personality. In addition to the numerous people who we’ve met here, I feel incredibly lucky to have added 14 new people from the US to my list of friends. It’s not often that you get a group of people who mesh so well together. I feel as though I’ve developed such a deep connection with each person in our group and that each one of them has taught me things about life and about myself. From sharing our worries and hardships over lunch to a game of charades before bedtime, I will cherish every memory, both big and small, that I’ve made here. 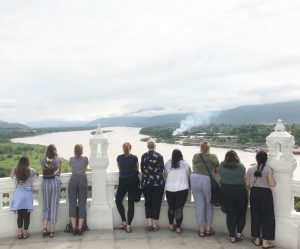 While we’ve been learning overtly about Thai culture and many incredible organizations throughout the country, we’ve also subconciously been learning about ourselves and how to be better global individuals. I truly hope that the growth and progress we’ve experienced on this trip stays with us and is able to easily translate to our lives back home. One thing that I know we all home to implement is KK’s philosophy, “Let it be, let it go.” I think that quote sums up our trip as a whole: accepting things as they come and not being distraught when they don’t turn out as we initially hoped they would. The saying often goes that a country is the sum of its people. It’s difficult to truly understand that until you travel and connect with the people who call that place home. The welcoming and open spirit of the Thai people will stay with me forever, and I hope one day to return and get to see their smiling faces again. 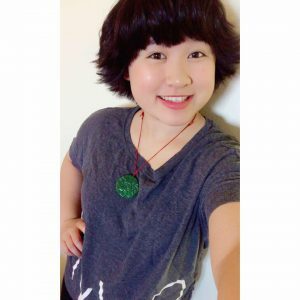 Blog Post #1 – Ready for adventures! My name is Molleysa. My name was given to me by my oldest sister. She created this name for me by taking a part of my mom’s, my dad’s and my grandma’s name. It is very special to me and it’s a completely unique name. I am a freshmen majoring in Biology. I hope to someday enter medical school and become a doctor. One of my learning goals for this Learning Abroad seminar is to learn about the cultural differences between Thailand and America. I have never studied abroad before, so I am really excited to dive in and experience a whole new world.